This knife has an aluminum bolster and a brown wood handle. 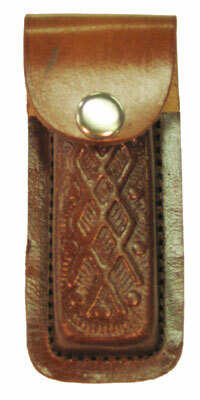 The blade is stainless steel, and the knife is sold with a fitted leather sheath. The knife has a closed size of four inches.